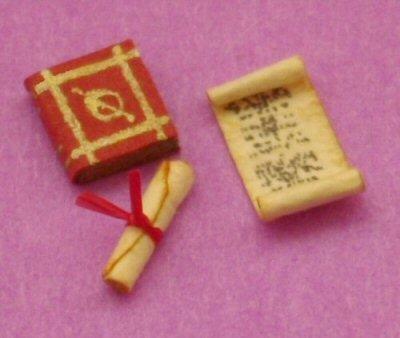 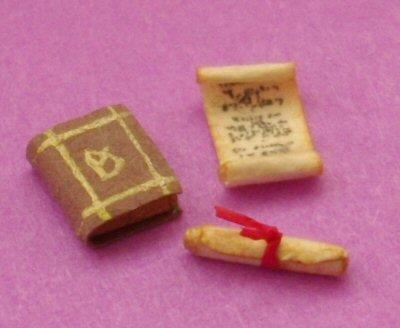 1/48th scale miniature spell book and 2 scrolls for the doll house Witch or Wizard. 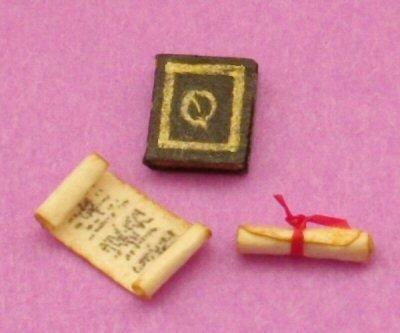 Choise of different coloured books. 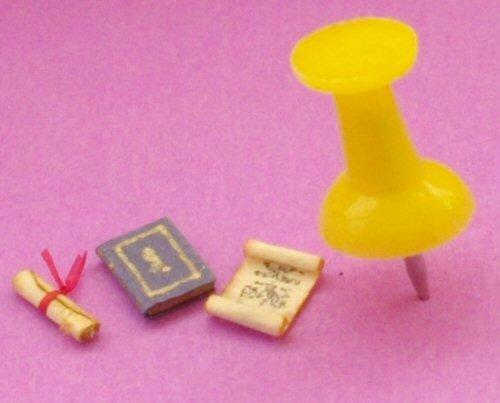 Use the drop down menu above to choose your colour.